The previous week our interest was mostly dominated by the circuit of Suzuka. Technical but also with a flow, accompanied by some very demanding sectors. The first sector gives you a ‘dancing’ feeling until you arrive at the famous spoon curves that demand perfectly balanced braking and, at the same time, optimal corner exit, right before the legendary 130R, which will either emerge you victorious…or will punish you unconditionally. The last chicane looks easy, however, in action, a slightly sloppy touch of the curb suffices to lose all the hardly gained tenths you had already earned. During the whole week, the Le Mans Series races essentially made use as practice sessions in view of the very anticipated 6-hour endurance races of the weekend. On the Saturday morning race Hellenic Racing Silver, comprised by Andy Perrs – Dimitrios Houdeloudis – Nick Koudourakis, qualified in the 5th place of the starting grid. However, after taking the green lights a careless maneuver by the following car sent us into the barriers. We were stuck momentarily, which cost us a lot of time. 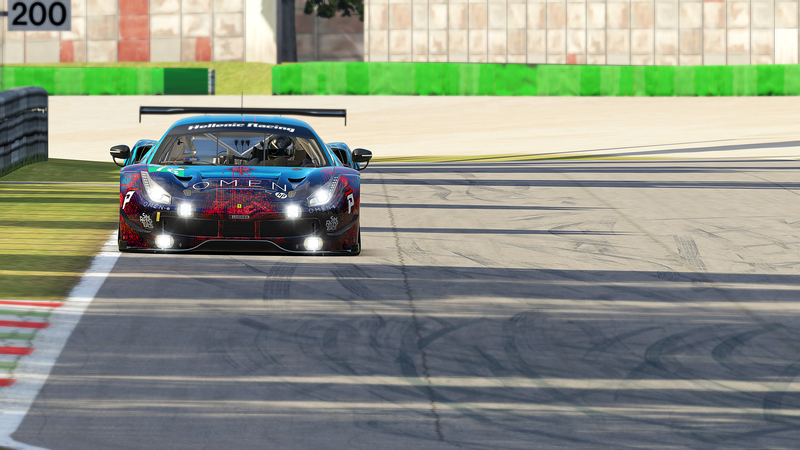 Restarting from the last place our pace, despite the fact it was heavily affected by damage, showed that we were at least worthy of a podium position. Unfortunately later into the race, after we had already climbed higher in the field, another incident with a higher-class car inflicted serious damage in our car, caused by some panic actions on his part. In the end, a 9th place finish was the best we could salvage in this race with apparent signs of disappointment and frustration. On the Saturday night race, we competed with two teams in the starting grid. 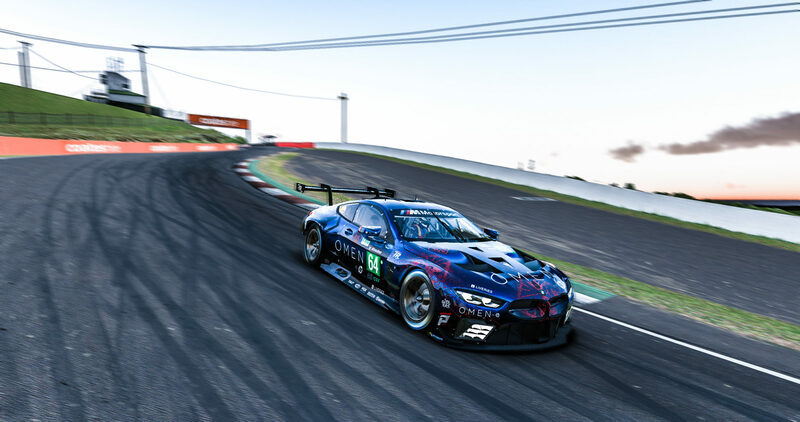 Hellenic Racing Blue, comprised by Nestoras Kiosoglou – Giannis Chourdakis, and Andy Perrs – Dimitrios Houdeloudis driving for Hellenic Racing Silver, both teams in the BMW M8, starting from 5th and 9th respectively. Many lost positions in the first laps, caused by multiple incidents because the opposition seemed very eager to take unnecessary action, regardless of the long duration of the race. Falling back, both teams managed to regroup and with consistent and fast pace started to regain ground. 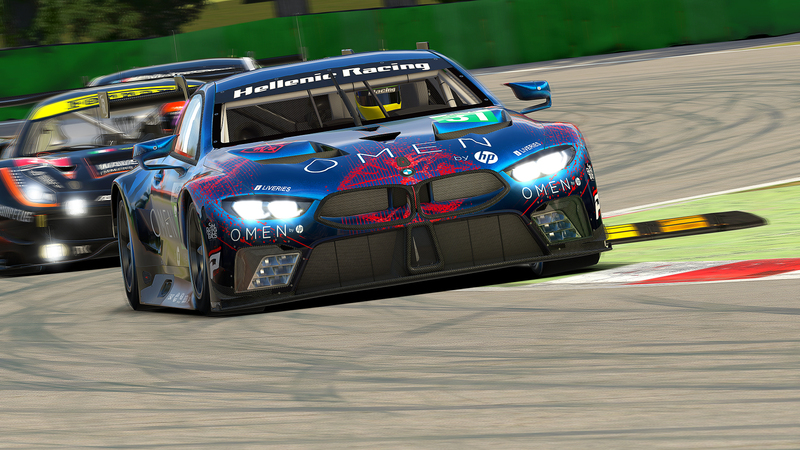 6 hours and 184 laps later, they reaped the seeds of this effort, achieving a worthy 2nd place finish for Hellenic Racing Blue and a 5th for Hellenic Racing Silver. In the championship standings, Hellenic Racing Blue stands in the 1st place, Hellenic Racing Silver in 3rd with breathtaking distance from the 2nd. However, we have just completed the 2nd round out of 6 for the championship and the contenders are still in the chase. Nürburgring, represented the team driving the historically reliable and amusing Mazda MX-5, achieving a 13th place finish. With arms wide open and interesting upcoming races in the calendar, stay tuned. With the aid of our sponsors, who we thank thoroughly for the seamless support, we continue our efforts.